Why do you want to work as a Foreign Service Officer? 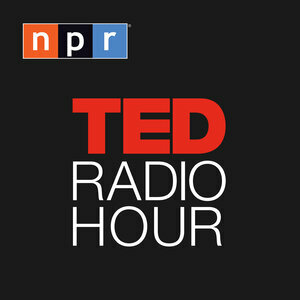 Recently I listened for the first time to NPR TED Radio Hour. The title of the show: The Meaning of Work. If you haven’t listened to it, I really do suggest checking it out. It was probably one of the most interesting podcasts I have listened to in a long time and I didn’t feel like it dragged for an hour- in fact I was really captivated! Of course I couldn’t listen to this episode without thinking about my current position and my career aspirations. Now, a few days later, I find myself still pondering over a question. Further, in keeping up with the different Foreign Service community groups, I have not noticed this question being raised, and I think it’s a deeply important one. For one, you should know it for yourself, and second, I wouldn’t be surprised if it gets asked during the FSO selection process. So the question follows and I would like you to take a moment and think about it. For myself, a quick answer to the why does comes to mind: the opportunity to travel, promoting diplomatic and cooperative initiatives, immersing into another culture, visiting new places in the world, working with different people, representing and promoting ideals I believe in while remaining respectful to other beliefs, feeling like I am a part of a mission I can get behind, and so forth. Many of you reading this may have come up with the same or some of the above. Some of you may have completely separate reasons to wanting to join the Service. And that is not a problem! But my main interest right now is to go deeper into the why. That is the meaning behind the job, can be a little harder to determine. What is that factor, that belief, which will separate a career in the Foreign Service from a career working somewhere else? In working through this, some questions come to mind. What is that motivating factor? What is the fulfillment sought with this job? What is the aspiring identity to achieve or represent with this career? What value will this line of work hold? When the above questions are added together, you get what I will call the emphasized why (or more plainly the meaning of your work). So take it all in and consider once more. If you let the weight of that question sit for just a minute, and go deeper into the meaning of the why, you will realize how profound it is. I hope you have given it some reflective thought. Because now I would like you to write in the comments your why. If you are a current FSO, then why do you continue to work as a FSO? Remember, this is going beyond material reasons. so i can become a better person!